Perfect to match the Giada jersey, these shorts are made of Thunderbike Power, elastic and compact with a light compression, which reduces muscle stress. Elastic and breathable mesh braces crossed at the chest to offer maximum comfort. 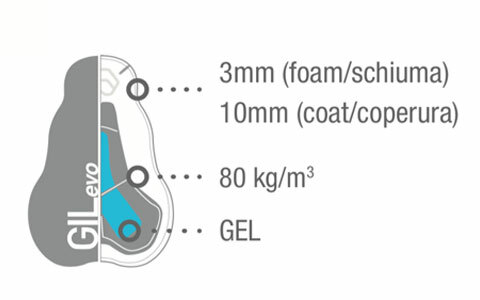 The GIL2 chamois with gel core constantly absorbs shocks. 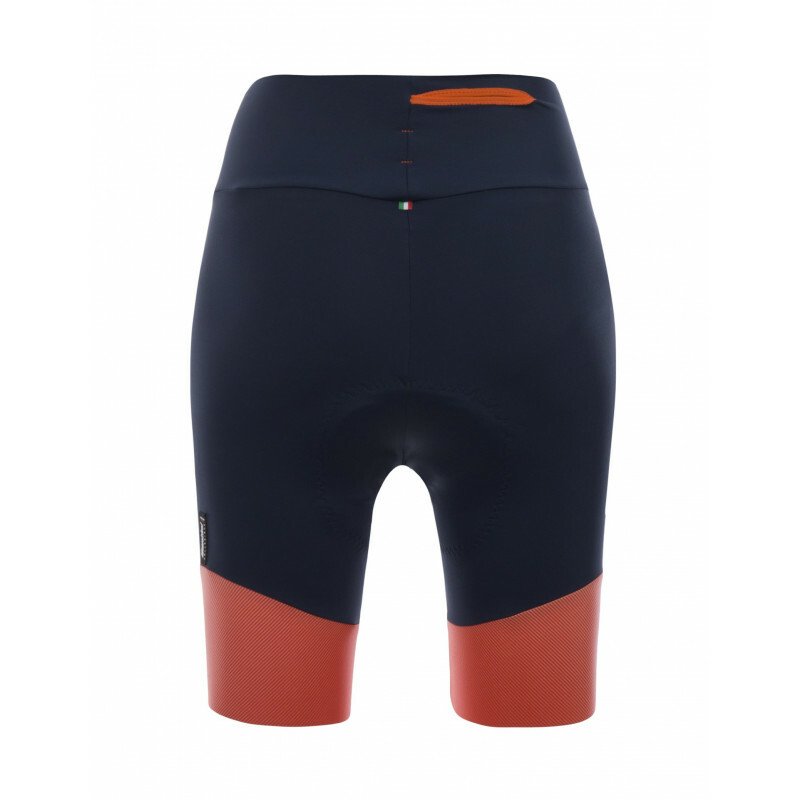 Perfect to match the Giada jersey, these shorts are made of Thunderbike Power, elastic and compact with a light compression, which reduces muscle stress. Elastic and breathable mesh braces crossed at the chest to offer maximum comfort. The GIL2 chamois with gel core constantly absorbs shocks. The anti-slip elastic gripper at the thighs keep the shorts in place without constriction. 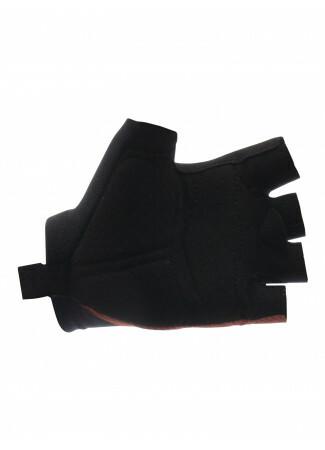 REDUCES MUSCLE STRAIN Made from renowned Thunderbike Power compression fabric. 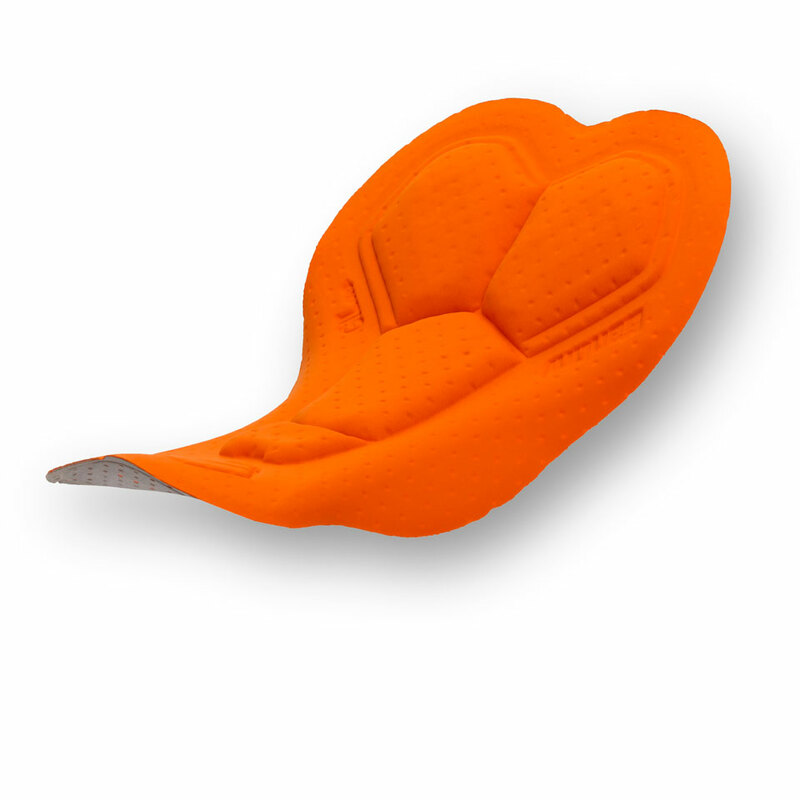 LONG LASTING COMFORT GIL chamois with a silicone gel core stays comfortable even after long hours riding. ANTI-SLIDING Elasticated leg grippers keep the bib- shorts in place. Amazing shorts. The material is awesome. The best thing is the small pocket. 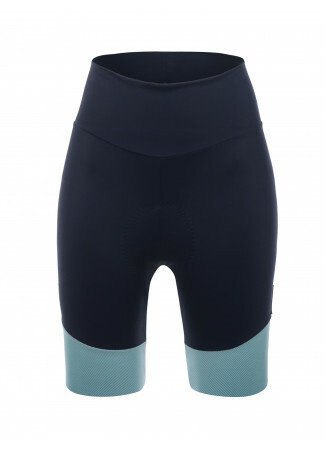 Nice bibshorts with a high waist. 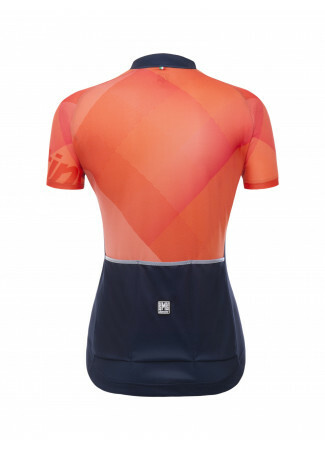 Very good and comfy bibshorts. If you don't like braces and are looking for really high waist, this bib is for you. The bottom of the leg is well constructed. Although it is made with a broad elastic band, there occurs no "sausage-effect". It is made in a contrast colour (fading design) and looks good. 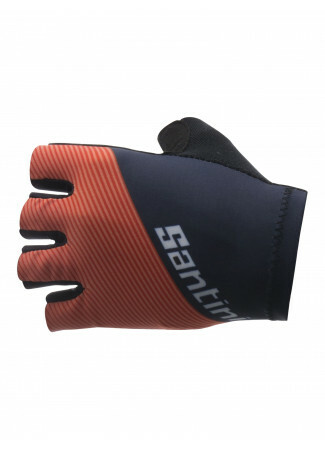 The chamois is the second best from Santini and it fits good and offers a good comfort. 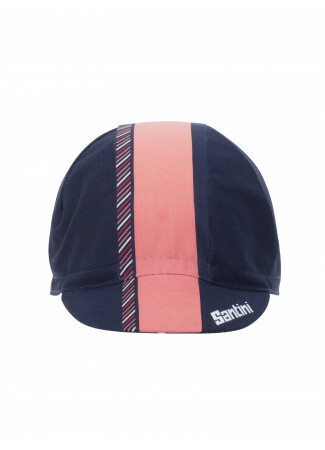 It is a little less firm than the chamois of the Volo Bib, but still firm and sporty. My sister wore it yet for rides of 3 hours and it works fine, also indoors. Surely you can wear it even longer. The waist is tailored really high. But it doesn't restrict you in any way. Outdoors, the high waist keeps your belly warm. 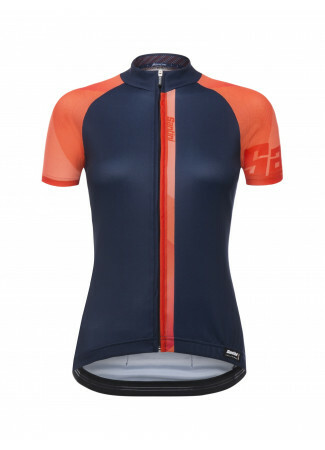 Be aware that the basic colour of the bib in orange and water is a nice dark navy blue, and not black. The violet giada shorts have black as the basic colour. Easy to care for with normal sporting goods detergent. Molto comodi, non sembra neanche di averli addosso. La vita è alta ma senza alcun elastico che stringe. Usati anche per uscite lunghe senza alcun problema. Very comfortable short with a high waist, which I prefer. Pretty for long rides! I like that short and wear it even on long trips. High Quality!